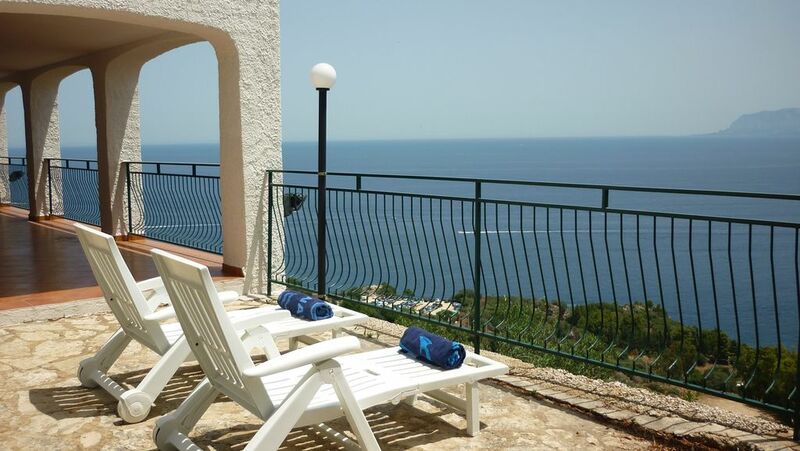 Villa Aziza is a vacation house located in Sicily, in the beautiful area of Scopello. You will enjoy an unbelievable view over the water and it is just a few steps away from the Zingaro National Park, famous for its uncontaminated nature and sea. Ideal for a relaxed vacation, surrounded by nature and wonderful beaches. The house has all the necessary amenities and can accommodate up to 6 people. Guglielmo communicated well with us and Vittorio was at our service, concerned that we had a good stay. The apartment was difficult for us to find on our own but Vittorio was there to meet us nearby and show us the way and then we were able to use the GPS after. Scopello is charming with small rocky beaches and a supermarket up the road. We were very happy with the apartment and slept well. The view from the balcony was breathtaking. Nearby towns of Castelamarre Del Golfo, Erice, and San Vito Lo Capo were fairly close car rides and well worth visiting. We would recommend this villa. Many Thanks for your kind comment. My wife and I stayed here for 4 nights with our two young children (aged 4 and 8) and we loved everything about this place. We had previously spent a few busy days sight-seeing and this was the perfect place to relax, slow things down, and recharge before returning home. We spent countless hours relaxing on the balcony and outside dining area, never tiring of the amazing view. We spent a lovely day at the beach down below and enjoyed a nice visit the nearby picturesque little town of Scopello. If we had more energy, we definitely would have visited the nature reserve next door but unfortunately we ran out of time. You could easily use this place as a base to do more sightseeing to Palermo, Erice, etc. The dining area and kitchen was very well stocked and we enjoyed a few fires in the living room at night. Gugliermo (and his parents) were extremely responsive whenever we needed anything. Couldn't recommend this place enough! This beautiful house with breathtaking views offers all comfort you need. The kitchen is very well equiped, there are lots of things you normally don't get in such a holiday cottage and it is all very neat and clean. It is situated in a very quiet environment. The owner is helpful and kind. He speaks English very well, which is a rare quality in Sicily. This is an address not to forget and we can recommend it to anyone. If I have to mention one little negative point: there was no WIFI reception in the house or the garden. But in heaven, there is no WIFI too. die Bilder können gar nicht vermitteln, wie toll das Haus, die Lage und der Ausblick sind. Ein Platz an den man gerne wieder zurückkommen möchte und vermutlich auch wird ;-). Wer Ruhe und Entspannung sucht, aber auch kulturellen Anreizen nicht abgeneigt ist, sollte hier absteigen. Für Vermieter hört der Bereuung nicht mit der Übergabe des Schlüssels auf, sie sind jederzeit für den Gast da!!!! Kurz, das beste Haus, das ich im Urlaub gemietet habe. "Spectacular position. Vittorio and Juliana were welcoming and helpful." "The location was fantastic, the best views I''ve ever had in a holiday apartment. Bay, mountain, fields it had everything. 25 mins walk to Scopello, best to drive to lovely little beach just below the apartment. Cleanliness, and amenities of property very good, and wonderful privacy. We loved it." Take the Exit: Scopello and follow the sign for "Riserva Naturale dello Zingaro" (Zingaro Natural Park). You can find everything here except fish. The meat department, the deli and the cheese are great. Same story for produces and fruits. There is a bread stand with bread from different bakeries. Choose the one from 'Cacioppo' bakery. This is a grocery store is in Scopello, about 3Km from the house. They have everything, including fresh vegetable and fruit. The wine collection is good, together with high quality local products. Their price is on the high side, compared to Castellammare del Golfo. They sell a 2-liters ice cream bucket, made in Sicily... get it! !